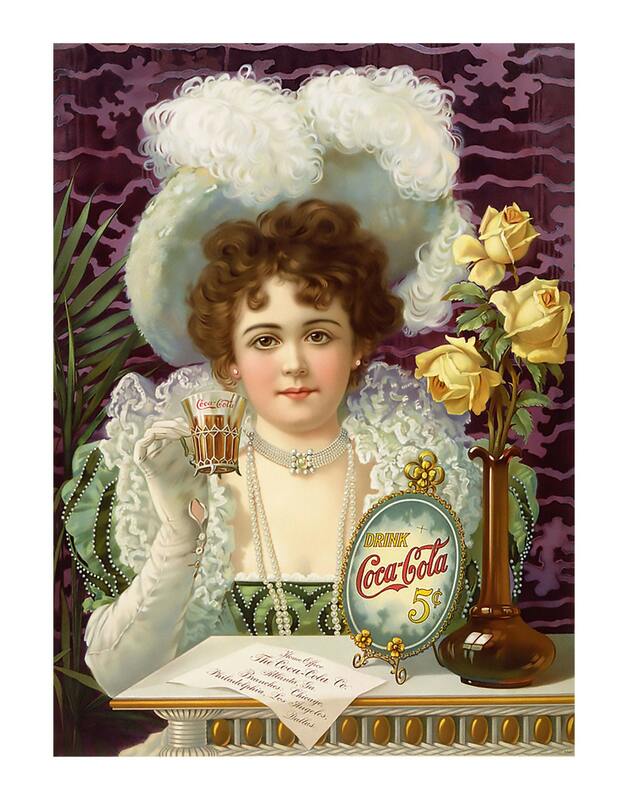 Coca Cola 1890 Coke Advertising Poster Reproduction. 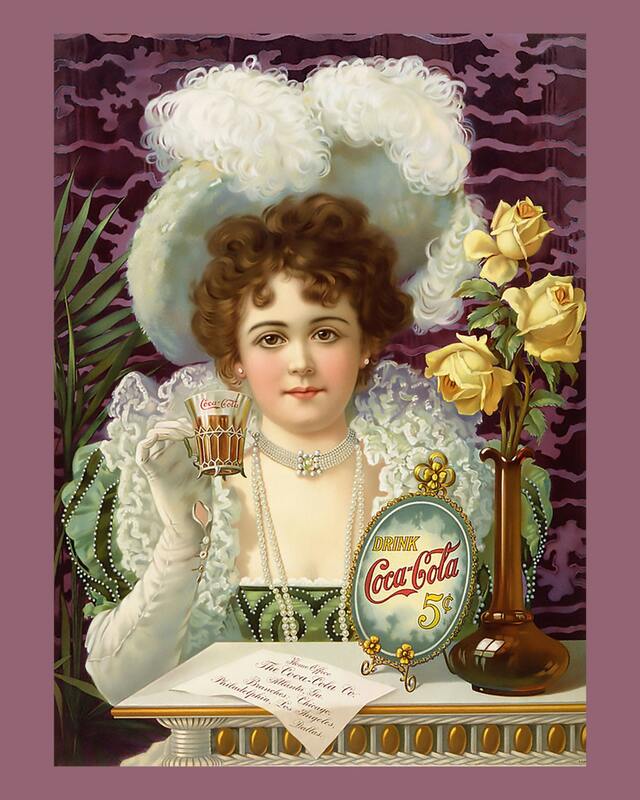 "Drink Coca-Cola 5¢", an 1890's advertising poster showing a woman in fancy clothes (partially vaguely influenced by 16th- and 17th-century styles) drinking Coke. The card on the table says "Home Office, The Coca-Cola Co. Atlanta, Ga. Branches: Chicago, Philadelphia, Los Angeles, Dallas". The women who modeled for this artwork was Hilda Clark (1872-1932). Singer Hilda Clark became the first celebrity model for The Coca-Cola Company. 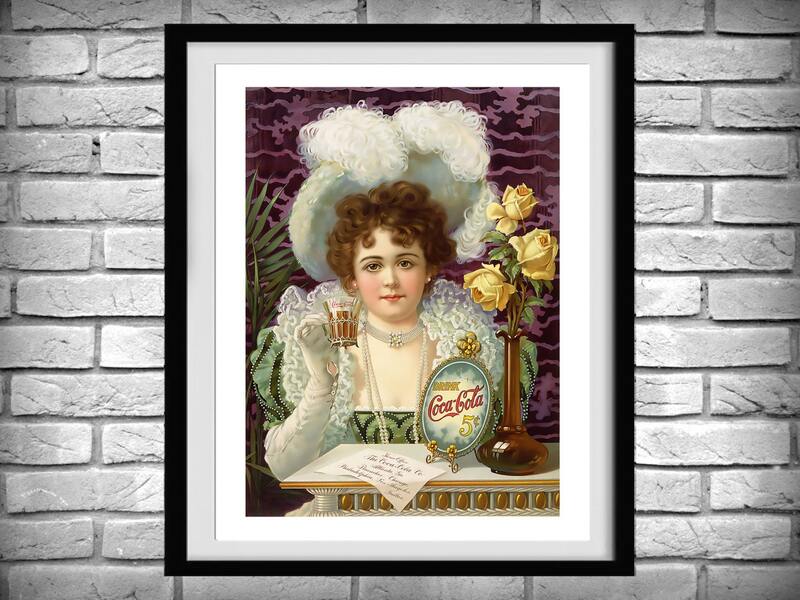 Also known as the First Coca-Cola Girl, Hilda’s image was used on cardboard signs, tin trays, trade cards, bookmarks, drink tickets, and calendars from 1899 to 1903. The width of the white border varies by size of the print. I maintain the original aspect ratio so there is no distortion of the main image.